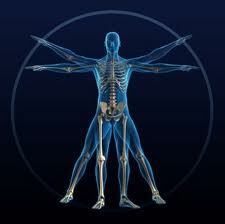 Chiropractic is a natural health care profession that deals with the nervous and musculoskeletal systems. Chiropractic Physicians provide a holistic approach to maintain or increase a person's quality of life. Chiropractic is based upon the scientific fact that the nervous system controls the function of virtually every cell, tissue, organ, and system of your body. A chiropractic adjustment is the use of carefully directed and controlled pressure in a precise direction that helps restore spinal function. Adjustments can help relieve pain, restore function, and optimize health. There are several types of adjustments that doctors of chiropractic use to restore function to joints that are not moving properly. Your chiropractic physician will determine the technique for you. Chiropractic care can benefit all members of the family, from children to seniors. Chiropractic care for children is gentle and effective. In addition, chiropractic care is very effective for women during their pregnancy; therefore, treatment can assist in easing the low back pain that women experience during pregnancy. Chiropractic care depends on the healing abilities of each patient; results can vary from patient to patient. Everyone responds differently. Like your Primary Care Doctor, some patients opt to continue with some type of regular chiropractic checkups. These patients show up for their visits feeling great. Their interest in wellness and prevention makes sure they keep their body in balance. The focus of chiropractic care is on the integrity of your nervous system. Chiropractic is a team approach to your health! As you enjoy results, tell those you love. Explain how millions enjoy relief and better health by restoring the integrity of their spines and nervous systems with safe and natural care! Let's make a difference! "The nervous system controls and coordinates all of the organs and structures of the human body."